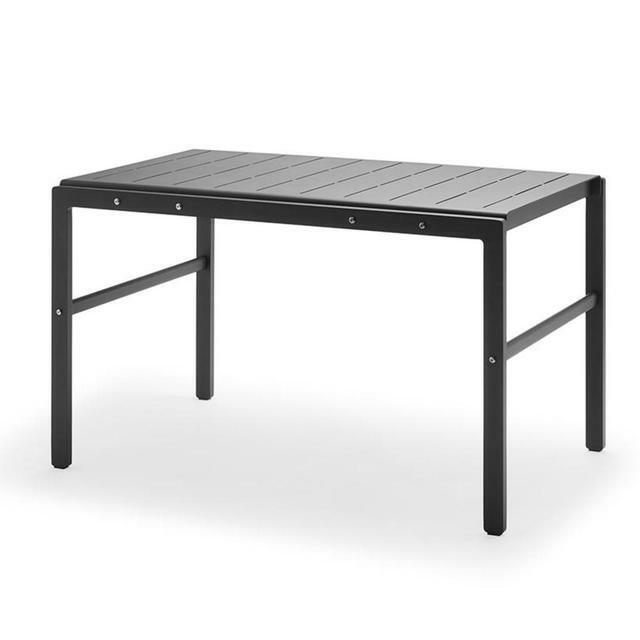 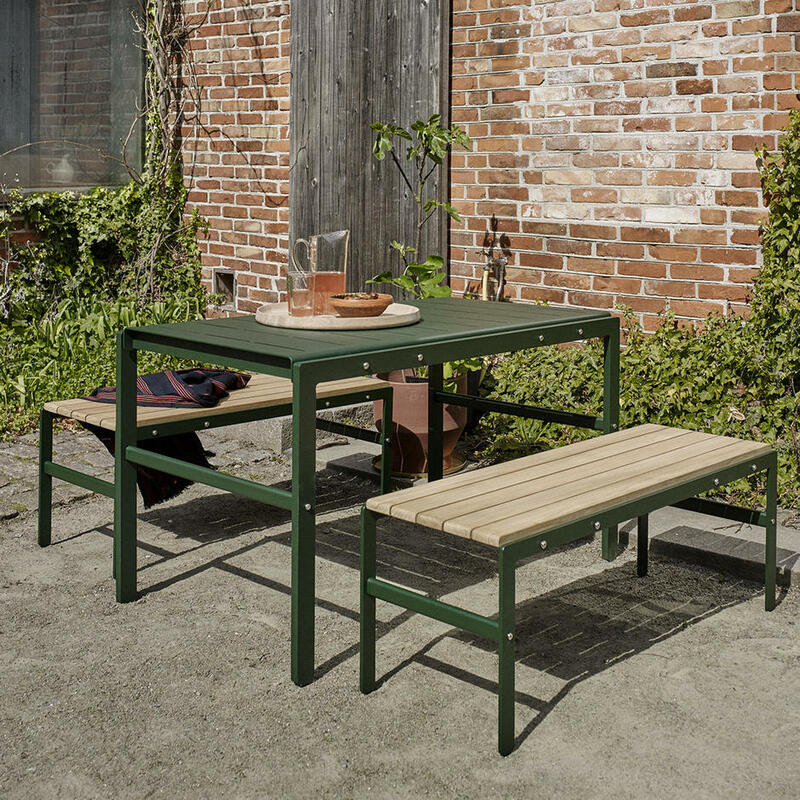 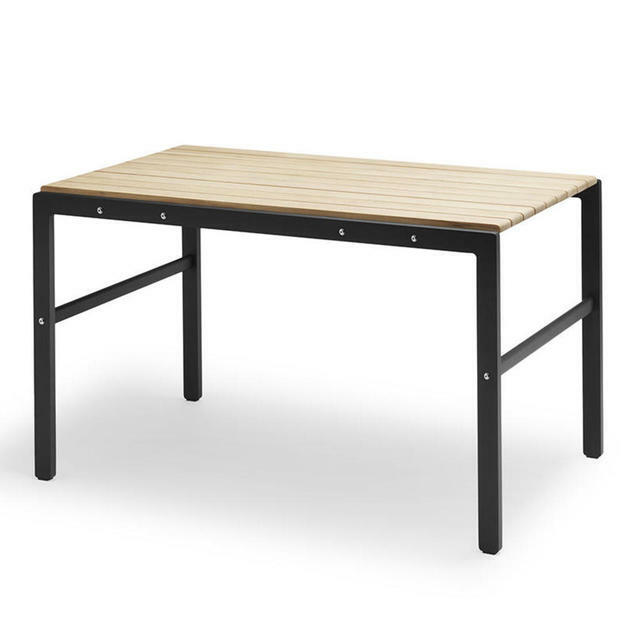 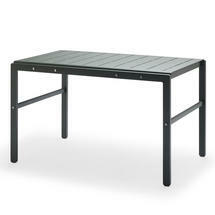 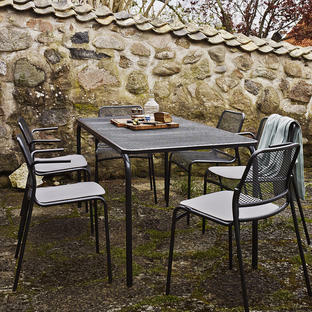 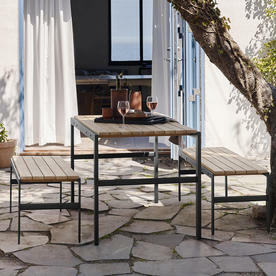 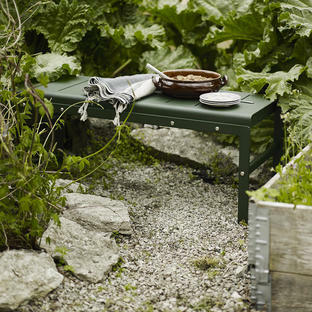 Urban and industrial style garden tables with a nod to the utilitarian movement. 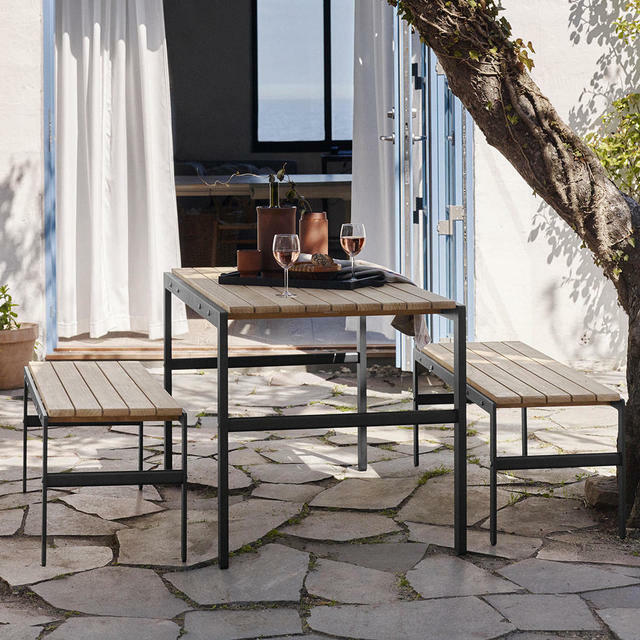 Choose from either the alumimium and teak table which has clean, simple lines and a touch of elegant detailing with the natural teak slatted table top panels . The alumiumium table made completely in powder-coated alumiumium. 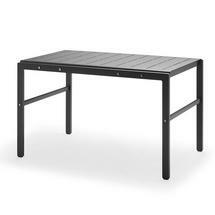 The tables seat 4 to 6 people. Team the Reform table with a bench from the Reform collection for easy, relaxed dining. 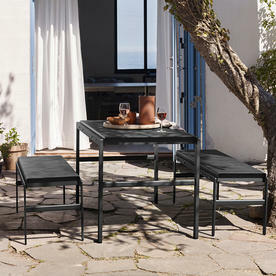 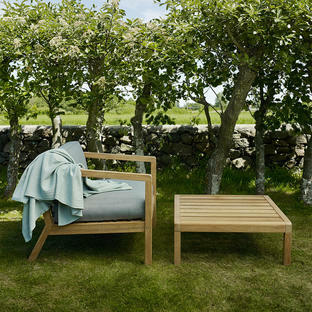 Made from from powder-coated aluminium with or without teak table top panels.